Andy Warhol was a painter, illustrator, designer, photographer, filmmaker, producer, journalist, editor, anchorman, and model. In her book Warhol Spirit Cécile Guilbert argues, more contentiously, that he was also a serious writer. Warhol’s name has frequently cropped up in reviews of Ellis’s work, but the connection has been most clearly established by Ellis himself. One of the characters in Glamorama is mocked because she only owns two books: the Bible plus the Andy Warhol Diaries (“and the Bible was a gift”). The inference here is that the Diaries appeal to superficial hipsters, but the juxtaposition with scripture is just as significant. The Pope of Pop presides over the celebrity culture and branded environment Glamorama is steeped in, but his presence runs the paradoxical risk of being overlooked — it is part of the novel’s wallpaper. 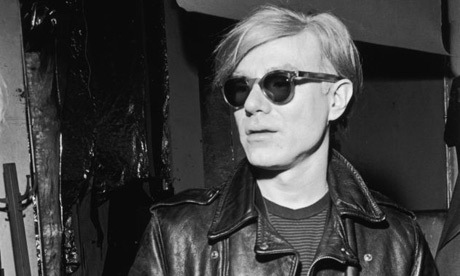 When Victor, the protagonist, quotes one of Warhol’s epigrams (“Baby, Andy once said that beauty is a sign of intelligence”), it is immediately disproved by his girlfriend’s admission that she has no idea who he is (“Andy who?”). The fact that she could have walked straight out of the Factory or the Chelsea Hotel adds a nice touch of dramatic irony. Apparently, the two men met at a launch party for Less Than Zero in 1985. Warhol had not read Ellis’s debut, but was much taken with its title (a nod to Elvis Costello) that resonated with his own rhetoric. Cécile Guilbert zeroes in on the quasi-Zen minimalism of his interview performances. She sees Warhol as a Candide-like figure rather than the usual sub-Wildean ironist: a mystical idiot savant whose very passivity turns him into a mirror or a tape recorder. In his memoir, POPism, Warhol claimed that the words he uttered during interviews always seemed to be “coming from someplace else, someplace behind [him]”. This oracular ventriloquism raises issues of authorship, as does his approach to the novel. a: A Novel — Warhol’s answer to Ulysses, published in 1968 — is the verbatim transcription of a series of taped conversations between the author and actor Ondine. The typescripts (courtesy of four typists including Velvet Underground drummer Mo Tucker who excised all swear words) were themselves faithfully reproduced down to the last typo and abbreviation. The outcome is largely unreadable, in the same way that Warhol’s films are largely unwatchable. Perhaps I am missing the point here. After all, Warhol deliberately set out to produce a “bad” novel as an experiment and his hands-off approach provided a nice variation on Roland Barthes’s “Death of the Author” (an almost literal one given the Valerie Solanas incident which had just occured). He can also be credited with taking the objectivity of the nouveau roman to its logical conclusion and fulfilling B. S. Johnson‘s dream of capturing the “enormity of life” between the covers of a book. Warhol was a prescient writer, if not a great one. He anticipated that the truth of fiction would be ditched in favour of the fictionalization of truth and invented reality TV in the process. In a way, he was not a writer at all. All his books were either dictated or transcribed from recordings, and in this respect he was part of a curiously old-fashioned tradition that predates the Gutenberg Galaxy. This entry was posted in Non-fiction and tagged andy warhol, guardian. Bookmark the permalink.